36-year old Donald, who rode the factory Norton at this year's TT, enjoyed a strong Classic TT meeting twelve months ago, with the highlight his second place overall in the 350cc Classic TT Race. The Melbourne rider was the winner of the 350cc GP1 class last year and became the first rider to break the 100mph barrier on a standard frame AJS 7R. He was also the fastest 500cc two valve single through the speed trap and was lying in fourth place in the race after an opening lap of 106.861mph before being forced to retire a lap later. 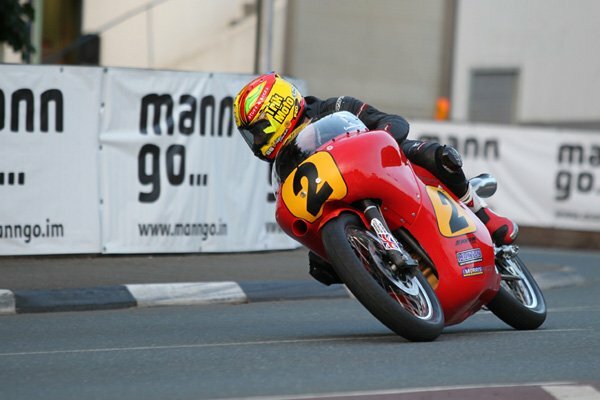 Ripley Land Racing have been stalwarts of the classic scene for numerous years and Chris Palmer gave them the overall victory in last year's overall 350cc Classic TT Race, giving them a superb 1-2, and he also took the corresponding race at the Manx Grand Prix in 2012. The team, owned by Ian Garbutt, still hopes to secure the services of a leading TT rider to ride the same 350cc Honda ridden by Palmer. "I loved every minute of last year's Classic TT and I am delighted that I have the chance to go back and get involved in some more racing around the TT Course. The atmosphere was fantastic last year and I love the whole classic racing scene. It is an honour to ride motorcycles as well prepared as the ones Ripley Land Racing provide me with and hopefully we can break a few more records and get ourselves back onto the podium."